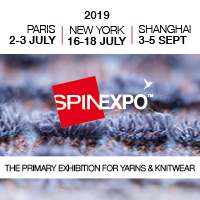 Pitti Immagine Filati, the international trade fair featuring yarns for the knitwear industry, will be held at the Fortezza da Basso in Florence from 3-5 July, with 20 foreign brands showcasing their products. With a total of 100 companies that will be represented at the event, Pitti Filati will be previewing yarn collections for the 2014-2015 autumn/winter season. According to Pitti Filati, a combination research lab and observatory on new global lifestyle trends offers its international audience a world class excellence in yarns. The last winter edition of Pitti Filati saw 4,600 buyers and potential visitors. This time the new names and re-entries at this edition include Code (Gran Bretagna), Julia Pines (Gran Bretagna) and Yellow Minnow (Gran Bretagna) e Peclers Paris (Francia). The main foreign markets are Germany, Great Britain, France, Switzerland, United States, Spain, Japan, Holland, Turkey and Sweden and new entries like Mongolia, Bielorussia, South Africa, Kazakhstan and Indonesia. The Pitti Filati Fashion At Work section will be among the daily events on the agenda at the Fortezza da Basso, featuring Italian and foreign exhibitors dedicated to style consulting, developing new stitches and prototypes, printing on knits, knitting machines, buttons and notions, accessories and trimmings, embroideries and appliqués, dyeing and finishing, trend carnets, style bureaus, colour coding systems, and design and manufacturing software. The exclusive dinner party hosted by the famous Tuscan firm, Filpucci will take place on 3 July. On the same day Lineapiu will be hosting another dinner party party for press and clients celebrating the renowned Tuscan firm that recently opened its remarkable Archivio Storico with a wealth of over 50,000 items. A Pitti Filati exclusive, the Filmar reception for the presentation of the collector book ‘The Cotton Museum of Cairo’ with a party on 4 July at the Limonaia, Villa Vittoria.